Eric from Shinedown gets personal. 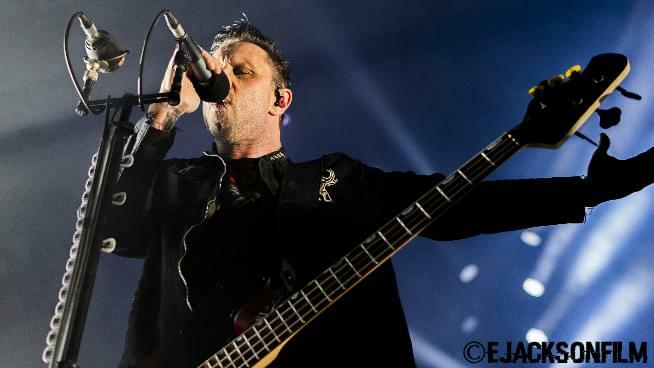 Last week Ethan went to the Intrust Bank Arena in Wichita for the Attention Attention world tour and he had the chance to sit down with none other than Eric Bass (like the fish) from the band Shinedown. Ethan spoke with him about the new album, mental health, and his favorite song to play live. This interview gets really deep and personal with Eric and his own struggles with depression and how the song “GET UP” came to be. Watch it below. Shinedown continues the Attention Attention World Tour later this Spring with a show in Kansas City and a headlining performance at Rocklahoma.